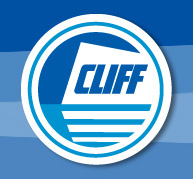 Cliff Brand Pool Salt is a high purity, additive-free, and fast dissolving pure salt. 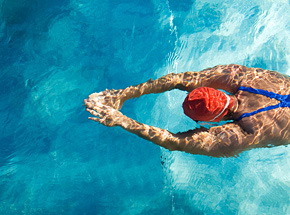 It is designed for use in swimming pools that are equipped with Salt Chlorine Generators or automatic sanitizer systems. It contains no additives. This product helps maintain a crystal clear and safe pool environment, reducing maintenance and eliminates chemical odours. For optimal performance follow directions in accordance with your chlorinator’s manufacturer’s directions for application rate, or follow the simple chart right on the bag. Available in 20kg Poly bags. 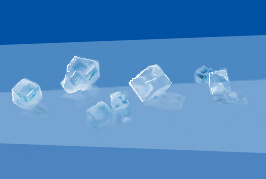 Diamond Crystal® water-conditioning products are proven market leaders. Available in many forms to suit your customer’s requirements, all come with a SuperSoft™ guarantee to perform as promised. Our premium purity water softener salt contains up to 99.8% pure salt. Virtually 100% water soluble, these compacted pellets are specially formulated to prevent mushing and bridging in the brine tank - helping to keep your softener clean and trouble-free. Our premium purity water softener salt contains up to 99.6% pure salt. Formulated for use where iron content in water is high, it contains an extremely effective additive that helps prevent rust stains on laundry, fixtures, sinks and tubs. Virtually 100% water soluble, it also minimizes buildup in your brine tank to keep your water softening unit running smoothly. Our high purity water softener salt contains up to 99.6% pure salt. Evaporated naturally by the sun and wind, these solar crystals have a white, opaque appearance and a low insoluble content. They are also formulated to resist mushing and bridging, minimizing the accumulation of brine tank residue. Our high purity water softener salt contains up to 99.6% pure salt. Evaporated naturally by the sun and wind, these large solar crystals have a clear, clean appearance and a very low insoluble content. They are also formulated to resist mushing and bridging, minimizing the accumulation of brine tank residue. Our premium-purity water softener salt contains up to 99.8% pure salt. Virtually 100% water soluble, it is uniquely compacted for hardness to prevent mushing and bridging in the brine tank. This helps to keep your softener clean and trouble-free. And now, our patented 2-handle, 40 lb. bag* makes lifting and carrying easier than ever. It’s also made with 50% recycled material! 99.85% pure sodium chloride. High quality evaporated salt eliminates impurity build-up in tanks.